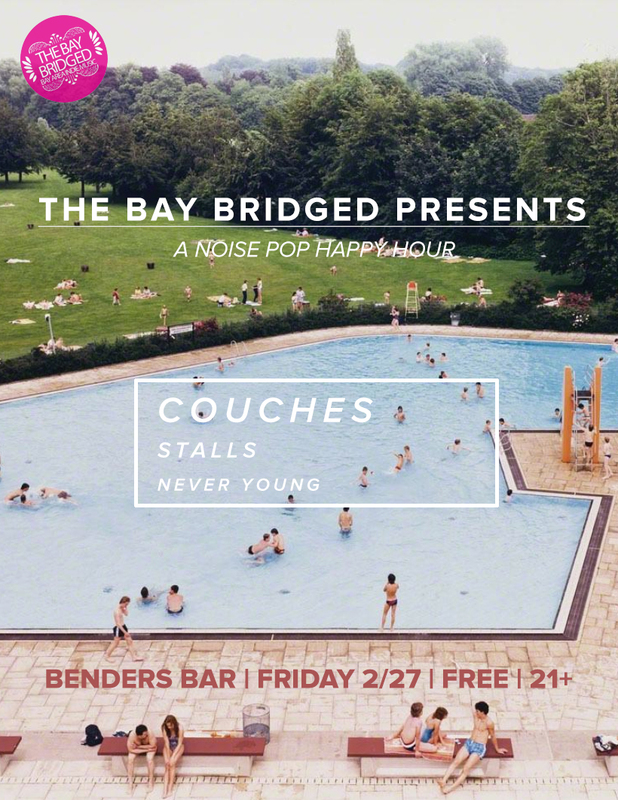 The Bay Bridged Presents: A Noise Pop Happy Hour with Couches, Stalls, and Never Young! The Bay Bridged Presents: A Noise Pop Happy Hour with Couches, Stalls, and Never Young! It's a new year and that means Noise Pop 2015 arrives later this month with a full slate of exciting shows. One of our favorite festival traditions is the nightly series of free happy hour concerts at Bender’s, and we’re excited to present the happy hour show from 5pm-8pm on Friday, Feb 27 with Couches, Stalls, and Never Young. It’s gonna be loud and it’s gonna rule. And it’s free! This 90's throwback slacker rock three-piece led by 20 Sided Records founder David Mitchell released one of our favorite records of 2014 with their EP Slackin' Since The 80s. Whether they’re penning more amped up tracks (“Train Of Thought”, “Thinkin’ About Money”, “Infatuation”) or sleepier, jammier adventures (“Don’t Slay The Dreamers”, “Radio Life”), Couches are at their best on the EP, injecting their unique hybrid of skepticism and hope into the record. The trio might downplay their songwriting ability and their distinctive sound, describing an “unabashedly straightforward approach where a tight rhythm section and a Big Muff pedal is all they need to hook you,” but Slackin’ is evidence of a much more finely tuned machine than is broadcast publicly. Stalls is the creation of Sam Weiss, who has been a member of Pure Bliss, Violent Change, Mall Walk, and many more, joined by Ray Seraphin (Talkies, Violent Change) and Nick Clark (Mall Walk). Stalls songs are anchored by strong, repeating bass lines that give Weiss’ vocals space to shine in a gloomy post-punk atmosphere. It's dark, loud, and nearly perfect. Local art-noise-punks Never Young have a new EP coming out in March -- produced by Jack Shirley, the EP's first single "Like A Version" is a blistering piece of noise pop. 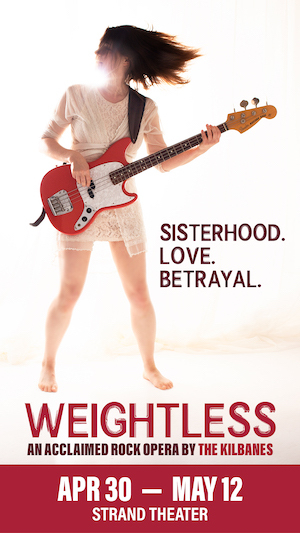 Listen for the deceptively catchy melody hidden within the chunky, squalling guitars. Keep an eye on Never Young in 2015, if they keep writing songs this addictive big things may come their way.